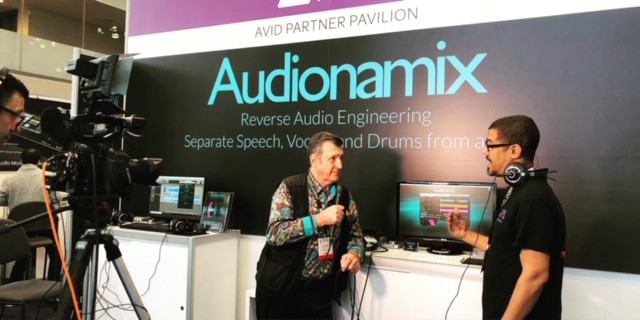 It was another great AES Show for Audionamix this year in New York City. 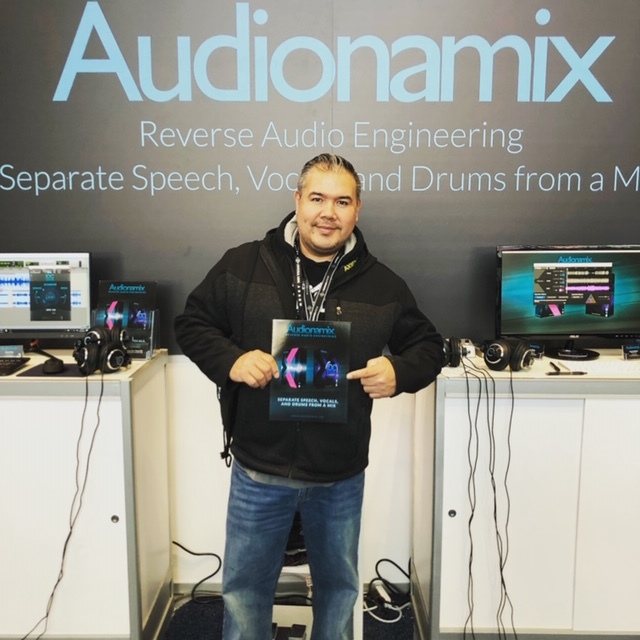 The response to our latest update to our most popular software, XTRAX STEMS 2 was unanimous – everyone loved the new algorithm and cleaner stem separations! Our first real-time, cloudless plug-in, IDC: Instant Dialogue Cleaner was a huge hit with the post production professionals in attendance. We had a steady stream of engineers, artists, consumers, and editorial teams from all the pro-audio publications dropping by to check out demos, as well as catching up with old friends and new. And at 3:00 each day we gave away a piece of software – either XTRAX STEMS 2 or IDC: Instant Dialogue Cleaner – winner’s choice. On Wednesday, we crossed over frequently with the NAB Show next door. We were sponsors for the post-show party at Stitch Bar & Lounge put on by our good friends at Post Magazine. 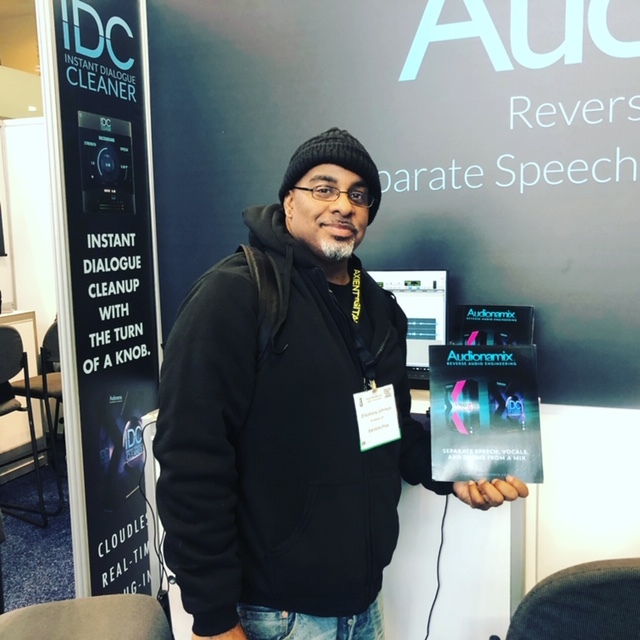 They recorded a live video interview with our Senior Product Specialist, Stephen Oliver, as he talked them through the various applications of audio cleanup using IDC: Instant Dialogue Cleaner. We also got to showcase demos of XTRAX STEMS 2 to our good friends at Production Expert, MIX, Music Connection, and TapeOp. D’Anthony Johnson was the happy winner of the day – he selected XTRAX STEMS 2. 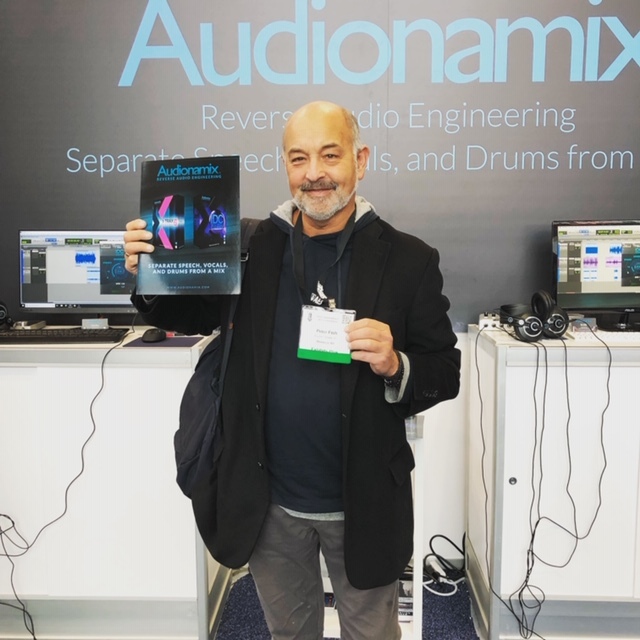 Venomisto dropped by to visit the team and share the initial plan and prep work for his upcoming Master Class on XTRAX STEMS 2 at Music Expo San Francisco – stay tuned for details on that! Resolution came by and was blown away by IDC: Instant Dialogue Cleaner. We also met with a number of publications which specialize in the post-production world including postPerspective and ProAVL Asia. Chris Black was our software winner of the day – another choice of XTRAX STEMS 2. Sound on Sound dropped by first thing in the morning to shoot footage of Audio Engineer Doc Kylian demo-ing XTRAX STEMS 2. They were extremely impressed by the speed and results of the new, improved algorithm! We also had a visit from our friends at AES Daily, who had extremely positive feedback on the new software. Our Day 3 giveaway winner was Peter Fish, who selected….IDC! We hope to see some of you in San Francisco at Music Expo on November 10th. After that, we are looking ahead to 2019 NAMM in Anaheim.